It’s fascinating that Scripture demands that our response to our enemies start with planning. It doesn’t sound like a course of action that is “spirit-led”, but then again maybe our idea of what constitutes being “spirit-led” needs to change. One blogger captured the irony of being “spirit-led” without planning in his imaginary book, As the Spirit Leads: Doing Church by the Seat of Your Pants. The moral of this imaginary book reference – Don’t do good to your enemy by the seat of your pants! Why not? If we fail to plan we have a greater chance of being controlled by our emotions and saying and doing things that we would later regret. The important principle that one must keep in mind in returning good for evil is that the best response is one that meets a pressing need (here hunger and thirst represent, but do not exhaust, that general principle). So, the planning of your responses to evil must include research of your enemy. You must find out his needs. That may take time and effort. You cannot simply guess about his needs. This also takes the focus off yourself, helps you to understand him better, and in the end, at the very least, puts you in a position to do some significant good for him. Ultimately, this is why I can’t tell you what you should specifically do for your enemies. There is no “Wednesday Night Church” program that can do this for you either. We must not only engage in the hard work of spirit-led planning, but also be concerned enough for our enemies that we are intimately aware of their needs and willing to meet those needs. 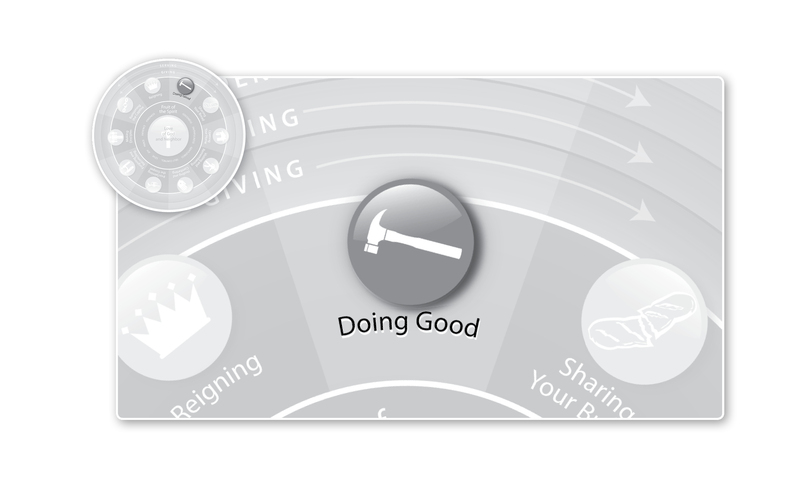 This entry was posted in Doing Good and tagged How to Overcome Evil, jay adams, spirit led. Bookmark the permalink. 2 Responses to Are We Too Busy Hating Our Enemies to Carefully Observe Their Needs? It’s interesting that Paul is applying Jesus’ “hard word”. In practice we tend to escape the hard words of Jesus by retreating to Paul. Here we’re reminded there is no faithful form of escape from Jesus’ demands. Jesus hard words and lifestyle are embedded in His apostle Paul too! Great point Chuck – There are no loopholes in Christ’s admonitions in Matthew 5 and Paul’s words in Romans 12. Thanks for sharing.